Okay so first of all, these are the cheapest miswaks I could find online and you get three of them. 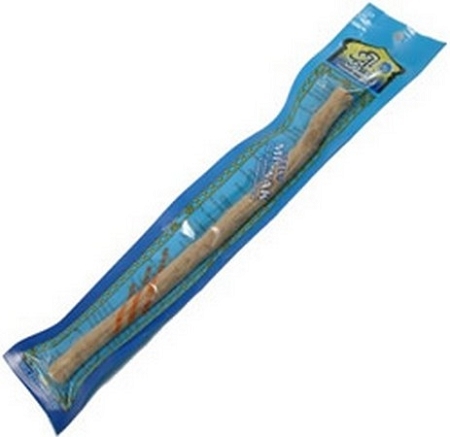 I wanted to try a miswak without spending too much. However the first thing I noticed when I open one was how strong the smell was. You can't really complain for the price and it doesn't affect the taste of it. The bark on these is soft and you don't need a knife to get it off, this is a perfect way to try miswaks. I found it excellent! Worth to money for miswak lovers! I ordered several packets to share with students. They were delivered promptly and were perfect for my needs.